Manicures from Graceful Glamour, using the finest tools and products including CND, Shellac, Vinylux, InkLondon, Solar Oil. I feel that manicures are a necessity, not a luxury. Whether you are looking for the basics or an opulent treat, I have the perfect treatment for your needs. As I only use the finest professional products sourced from official suppliers, you can be sure of receiving a superior service, whichever you choose. Natural nails shaped, polish applied and cuticle oil to nourish. Natural nails shaped, cuticle work with expert tools and products, mini hand massage with hydrating lotion, polish applied, then cuticle oil for extra nourishment. 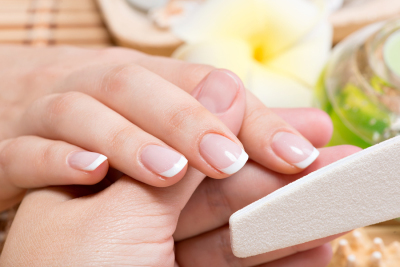 Natural nails shaped, then a soak in a sumptuous milk bath, cuticle work with expert tools and products, exfoliation with moisture scrub, hand massage with hydrating lotion, polish application followed by cuticle oil for extra nourishment.